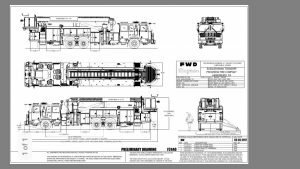 The Progress Fire Company is pleased to announce that we will be replacing the current 2001 Seagrave Tower with a 2017 Seagrave Marauder II 95ft AerialScope at a cost of 1.4 million dollars. The membership would like to give a huge THANK YOU to the Susquehanna Township Commissioners, Township Manager Kratzer, Public Safety Director Martin, and Chief Drees for their support and help with the replacement of Truck 32. 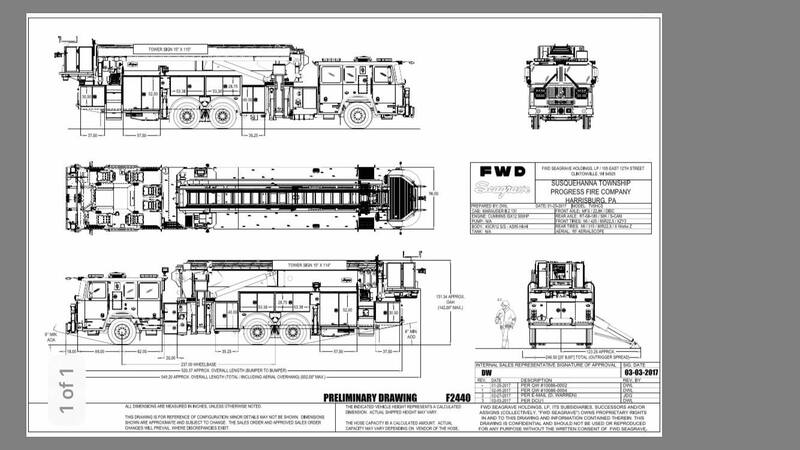 The membership would also like to say Thank You to the Truck… Committee who have spent countless man hours over the last several months meeting with different manufacturers to make sure Progress was getting the best piece of apparatus within budget that would meet operational needs of the Department. The new Truck 32 is being purchased through EMERGENCY EQUIPMENT SALES & SERVICE, LLC and we want to say thank you to Todd Fell for all his work also over the last several months. We have included a preliminary drawling of the Truck from a couple weeks ago!